As part of our Horizon 2020 funded project to develop and take small-scale hydrokinetic turbines to market, the progression of the company’s business & marketing strategy is key to reaching all of our milestone deliverables. At DesignPro Renewables, we now have a dedicated team of 3 creative and energetic individuals working on this aspect of the project. In the second blog of our Meet the Team series, we introduce you to our Business Development Associate, David (Dave) Higgins. 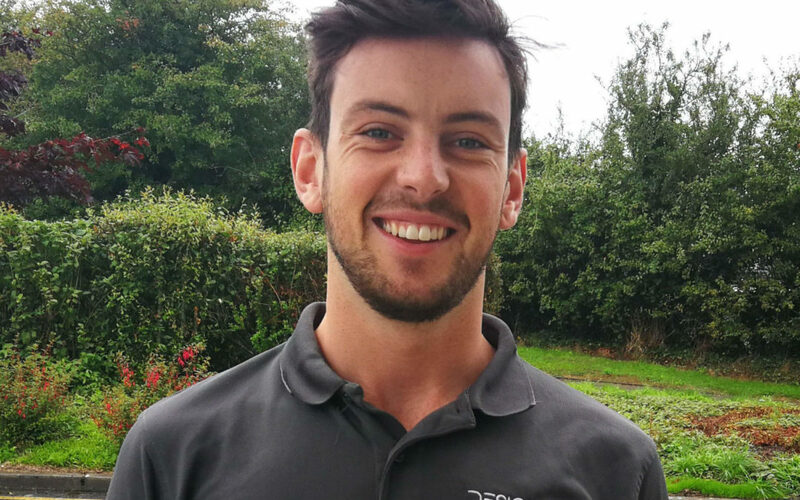 Dave started with DesignPro in February this year and is working alongside the Marketing team. As a recent graduate from University College Dublin with a Masters in Sustainable Energy and Green Technology and an undergraduate degree in Geoscience, he wanted to work in the emerging renewable energy industry. The role stood out to him because it offered both technical and business aspects of developing an innovative product. In order to learn more about what led him to work in his current role with DesignPro, we sat down with him and asked a few questions. My previous experience was focused on the resource assessment side of projects and this role offered me the chance to be a part of a project that would actually harness these viable resources. To me, the opportunity to learn and also contribute to the development of hydrokinetic turbines was one I could not pass on as it would offer me a first-hand view of the industry and valuable experience working as part of a small, dynamic and highly talented team. In the initial years of growth, new technology requires continued investment and development to help prove market viability, reduce perceived risk and ensure a steady growth in the sector. In order to achieve this, Dave is currently working on researching pricing strategies, funding opportunities and potential partners that are open to investing in our innovative technology. What has been a key finding in your work? As we follow industry best practice for development, we have found that one of the most sustainable methods of growth is by working closely with new customers and dedicated partners to gain their feedback on our products and use it to improve and optimise our technology further. In turn this ensures our technology’s class leading status and provides us with the opportunity to witness the economic, environmental and social benefits our technology has on the customer. As Business Development Associate, Dave will be required to travel to different areas around the globe to attend events, meet potential customers and seek new opportunities for the company. He is a well-travelled person himself who has been to 28 different countries and recently spent some time studying in America where he acquired some fascinating work experience. Can you give a fun fact about yourself? When I was in college in America the only job I could get was working as a Carousel Operator in the local town. It was the fastest carousel west of the Mississippi. It sparked my interest in things that rotate. We are delighted to have Dave on our team. There will be lots of chances to meet him to speak about our products and project progression at upcoming industry events. Keep up to date with his work and the company’s future plans on our website.